How can enterprises use threat intelligence data to detect and stop attackers more quickly and efficiently? How can security teams identify the relevant threat information and use it to develop a swift defense? What specific threat information is needed, and how can enterprises use it to stop a particular attacker or exploit? In this informative webinar you'll hear security experts discuss practical ways to use threat intelligence from the web to identify the methods used by online attackers and to ferret out sophisticated attacks that wouldn’t be recognized by traditional information security defenses. * Learn how to integrate threat intelligence into your current practices for enterprise data defense and incident response. 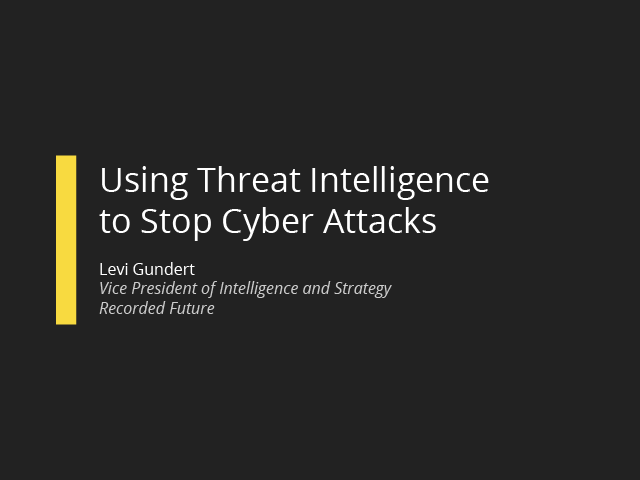 * Gain specific advice on how you can use real-time threat intelligence to fight new attacks targeted at your enterprise.